The graceful top has a flounce trim along off-the-shoulder neckline give the fluttering, feminine style. 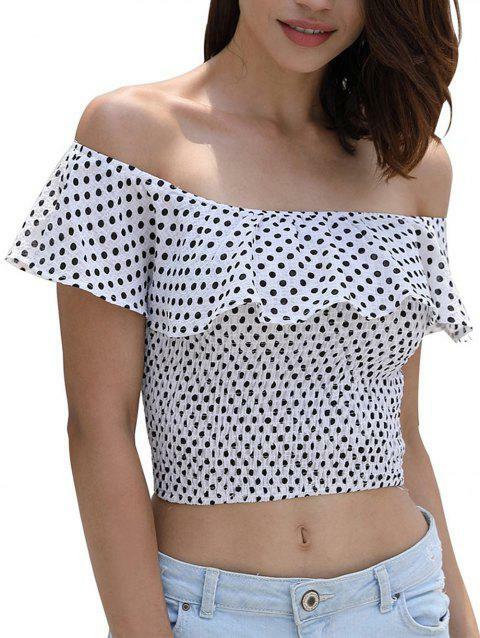 The different polka dot pattern throughout adds an adorable charming look to the top with a cropped fit. Just pair with the ripped shorts for a cool style.